Re:Legend is an awesome RPG adventure game from Magnus Games Studio, set in a beautiful world of wonder and fantastic creatures. Washed ashore on Vokka Island without memories, you must start a new life and find ways to recover your lost memories. Build, craft, farm, fish, raise and breed amazing pet companions. Learn how to survive on the island by cultivating the land, befriending villagers, expanding the village and raising your very own magical creature known as “Magnus”. Venture around the land of Ethia where vokka island resides to reclaim your memories is no easy task as the world is filled with dangerous Magnus and threatening challenges. Magnus – mythical createures roams the land of Ethia, the world where Vokka island resides. Every single Magnus is tamable and they will aid you in many ways such as combat, farming, fishing, travelling and more. They will also grow differently depending on your care. 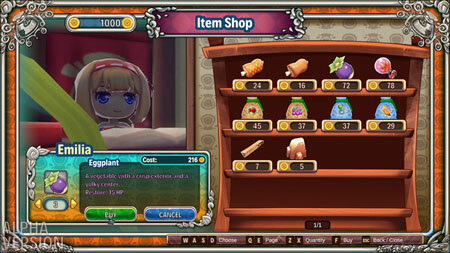 Farming – Cultivate the farm of Vokka island to acquire food and materials for the village or yourself. Vokka island allows you to grow crops and keep exotic fishes underwater. Dive into the crystal clear water and farm to your heart content. Combat – World of Ethia is filled with dangerous wild life and combat skills are essential for survival. Wield any weapon you desire at any given time and you are not restricted by weapon classes. You can also mount your beloved Magnus to combat through your adventure. Vokka Village – Where your new life begins. Befriend local villagers and join exciting festivals together to have a good time. Pay attention to their needs and help them out in their daily lives so they can help you retrieve your lost memories. Life Skills – Gain living skills as you practice them frequently. They level-up organically as you carry out the activities. Your living skills include: Mining, Fishing, Logging, Crafting, Farming, Weaponry and more. If you get stuck in the game, check out the video walkthrough and gameplay for the game. This entry was posted in PC Games, Walkthrough and tagged Re:Legend Cheats, Re:Legend Gameplay, Re:Legend Guide, Re:Legend Strategy, Re:Legend Tutorial, Re:Legend Walkthrough by Marvin. Bookmark the permalink.